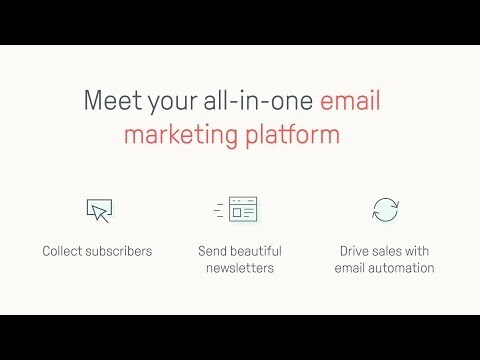 Omnisend—the ecommerce marketing automation platform that helps you sell more. Join more than 40,000 merchants that have trusted their ecommerce marketing automation to Omnisend. Our platform provides a complete solution for connecting your ecommerce business with potential and existing customers across multiple customer journey touchpoints. Omnisend works with all ecommerce platforms including Shopify, Bigcommerce, Magento, WooCommerce and others. Skip the tedious and time-consuming newsletter setup process. Our drag-and-drop Content Editor is intuitive and gives you all the tools you need to enjoy great results at the speed of light. Improve your performance with beautiful email templates, the one-click Product Picker, the interactive CTR boosters and unique Discount Coupons. Choose how to turn your visitors into subscribers with a wide variety of signup forms. Omnisend’s forms are mobile-friendly and fully customizable. Grow your list with non-intrusive Signup boxes, welcome and exit intent Popups, the fun Wheel of Fortune, and customizable landing pages. Ready to convert your visitors into repeat customers? Try out Omnisend’s ecommerce marketing automation—every new user starts with a 14-day, obligation-free Premium trial. After 14 days, you choose whether to keep using our Premium plan or continue with our Free plan, which includes 15,000 emails per month (up to 2,000 emails per day). Omnisend gives you stellar support and helpful advice anytime you need it. We’re available 24/7 for all—both Free and Premium users. Omnisend (sometimes referred to as Soundest) was added by soundest in Feb 2014 and the latest update was made in Aug 2018. The list of alternatives was updated Apr 2019 There is a history of all activites on Omnisend in our Activity Log. It's possible to update the information on Omnisend or report it as discontinued, duplicated or spam. Maybe you want to be the first to submit a comment about Omnisend? Just click the button up to your right!